What As an added feature to our tips on BBQ'ing, we have included this reference guide to different types of smoking woods, and the meats that each of them compliment. TIP: Different woods add a different smoke flavor to the meat you are Bar-B-Qing. Experiment with different woods with a different meats until you find the right combination for your taste. TIP: Different woods add a different smoke flavor to the meat you are Bar-B-Quing. Experiment with different woods with different meats until you find the right combination for you taste. You will find below, a listing of commonly used smoking woods and the meats they compliment. A heavy smoke flavor. Any oak will do. The second most popular smoking wood. Red meat, pork, fish, and some wild game. Strong, smoky taste. The most common smoking wood. Sweet, light taste. My personal favorite. Great with all meats. Especially good with ribs, lamb, and vegetables. Nice taste. Lighter than hickory. Similar to mesquite, but not as strong. Most meats. Most vegetables. Good with beef. Milder and sweeter than Hickory. Burns fast. Light, but district flavor. Slightly sweet. Good with pork and poultry. Slightly sweet fruit flavor. Good with all meats. Similar to fruit woods. Good with all meats. Medium smoke flavor. Slight hint of fruit. Good with beef, poultry, and pork. Very light smoke flavor. Good with seafood and lamb. 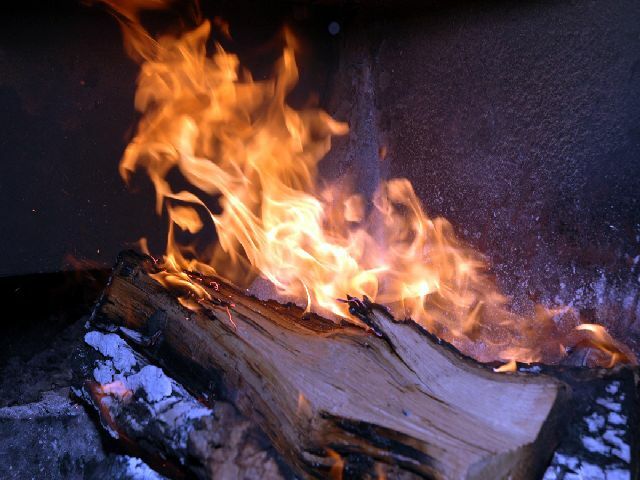 You can use almost any type of wood for smoking except PINE and CEDAR. Try different woods or combinations of different woods with different meats. Again, my personal favorite is mesquite. 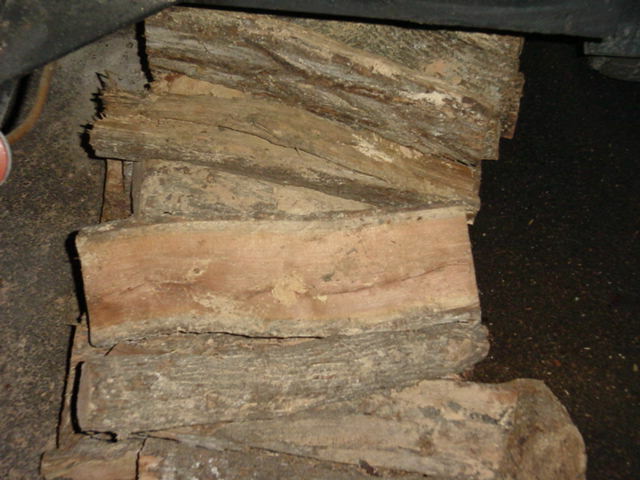 I have tried many kinds of wood, as people often send me wood from all around the United States, but I always go back tot mesquite. 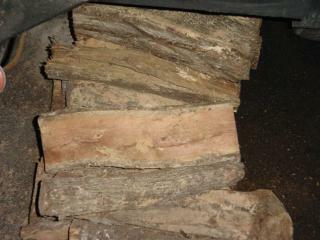 Mesquite burns rather hot, and has a light sweet taste. It goes perfect with beef, pork, fish, poultry, and lamb. Remember that Texas BBQ Rub has been developed to go perfectly with any wood. It has been tested using a variety of woods. The perfect blend of spices enhances the flavor of any wood you are using. Try it today. TIP: If you are just learning the art of smoking your meat, start off using a small amount of wood to see how you like the flavor. 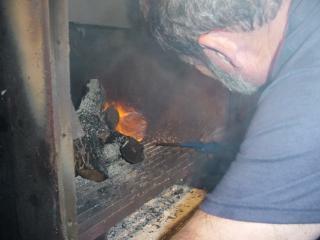 You can then add more wood to increase the smoky flavor. Don't overuse it. It is possible to get too much smoke flavor over long cooking periods, this could make your meat bitter. This is particularly true with the heavier wood flavors like hickory and oak. Mesquite and the fruit woods just don't seem to do this to your meat because of their lighter smoke flavor. I personally use mesquite, as I have told you. I cook for long periods of time with nothing but mesquite wood. For example, I cook beef brisket for up to 20 hours and I have never had a problem with a bitter taste. TIP: Meat that has been smoked tastes even better on the second day. The smoke flavor seems to get better with time. So, your leftovers just taste better the second and third days. Always cook some extra meat as it is just fantastic the next day. A TexasBBQRub is the perfect rub to compliment your wood flavors. Order some today. We have the best guarantee in the business, so you can't go wrong. Add a little spice of Texas to all of your cooking by adding Texas BBQ Rub to all your favorite meats. Remember, TexasBBQRub... Inspired by Texas... For the World to Enjoy. If you have not already done so, please take a moment to sign up for our FREE monthly newsletter "BBQ Made Simple." This newsletter will be emailed to you monthly and is packed with helpful hints and tips on BBQing, as well as great recipes you will enjoy cooking, and eating. Click Here Now to sign up. It's absolutely FREE.